Regrettably, I didn’t get the opportunity to communicate with him through a Napali translator. I didn’t get his name. I don’t know is age. And, I don’t know how long he has suffered with the horrific disease of leprosy when I met him in the colonly. What I do know is that his eyes were so incredibly kind. His presence so inviting. His smile so unconventionally beautiful. Most importantly, he made me understand again that its not your circumstances, environment, difficulties, troubles or sucesses in life that defines us. It is how we respond that determines our outlook on life. Without undertsnding a single word he spoke, this man taught me more than he will ever know. Some faces seem to be created to be photographed. I was lucky enough to be at the right place and the right time to capture the beauty. 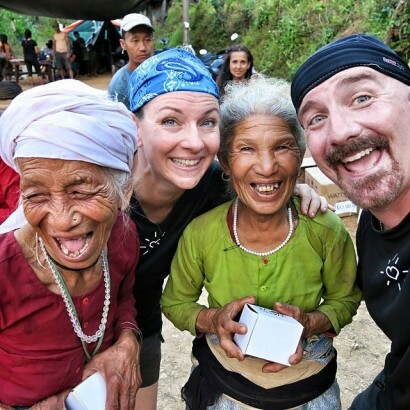 I’ve been taking photographs for over 25+ years, however, until I started capturing people that had just receivied a new @wattsoflove solar light, I had never encountered so many people wanting to hide their smiles. I find the reaction so endearing. I realize some people don’t like their smiles but, the vast majority I believe are so overwhelmed with happiness, they find their laughter and smiles to be uncontrollable. I believe this feeling of uncontrollable joy makes them cover their smiles and laughter do to the fact they are not used to expressing such a heighten state of emotion. 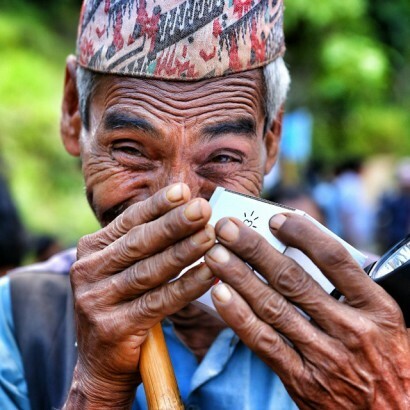 Despite his hands being over his smile, this Nepali mans eyes still reveal his complete joy after receiving his new solar headlamp. 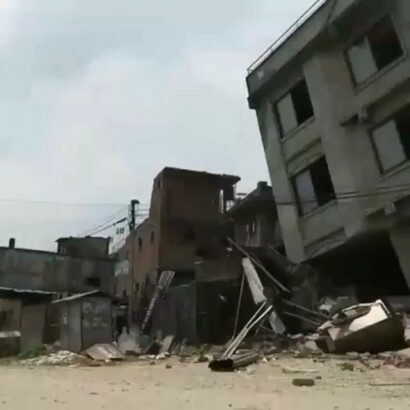 Although the physical damage and destruction in Nepal has been devastating, the emotional damage to the people affected by the earthquake has been as equally if not even more damaging. 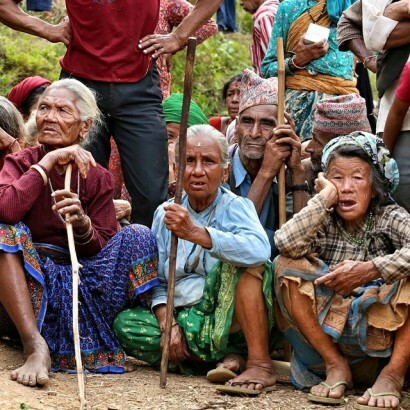 Although the people of Nepal need many things to rebuild, I believe the greatest thing they need right now is hope! Thank you to everyone that has helped us with donations, support and encouragement. 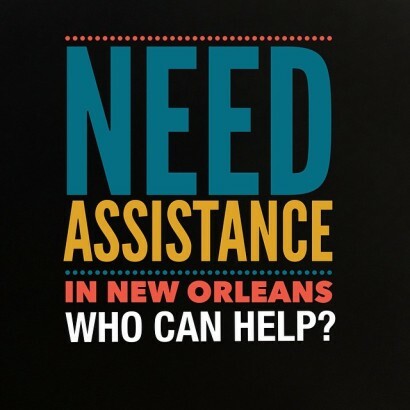 We could not have helped anyone without you. 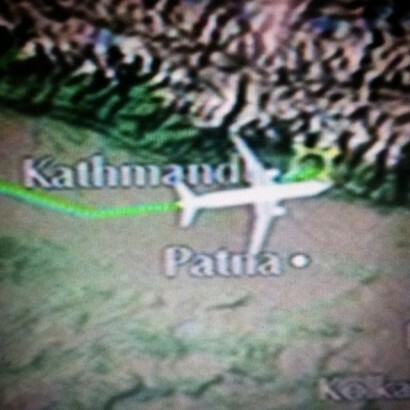 Katmandu traffic is crazy! There are no stop lights, no stop signs and the roads are always packed with cars, taxi’s, trucks, motorcycles and cows. I seriously have no clue how there aren’t more accidents. The cool thing about the traffic is that it kinda just flows like water and always finds the path of least resistance. The bad news, I was informed that if you hit and kill a cow you could be sentenced to prison for life. Can anyone confirm this statement? If that fact is true, that’s utterly scary. Pun intended. 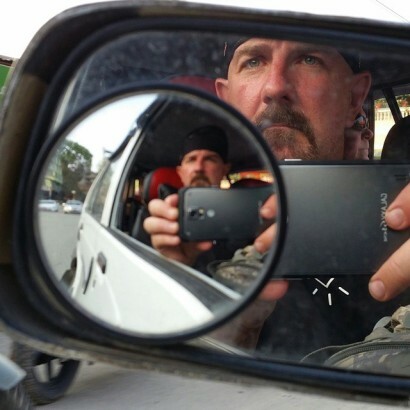 Was traveling and shooting with a new Samsung Galaxy S 5 Active on my entire Nepal trip. I must admit, I am really loving the camera for stills and video! Still getting used to the operating system but i can see some cool features. 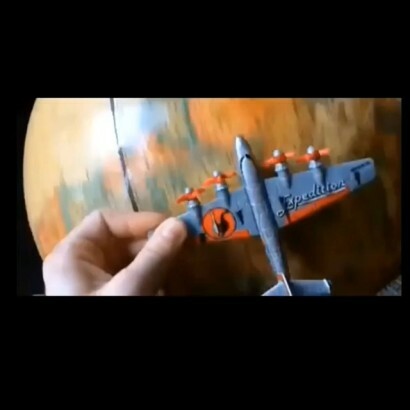 How does one write about the indescribable? How does someone process seeing something that shouldn’t exists in today’s modern world? What good will my photo and words mean if their is no direct postivite change? These are just a few of the thoughts that contiually ran through my head today as we visited a leper colony in Nepal. 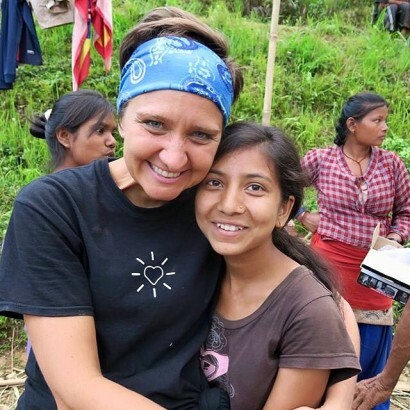 I am really struggling writing this post because I realize no matter how hard I try, I will not be able to fully express the gordian knot of feelings I had as we delivered @wattsoflove headlamps and ministered to some of the 160+ people living in the leper colony. More importantly, I am struggling with how do we, now that we are informed of these beautiful people make a sustained difference in their lives. My sister Nancy was truly amazing today as she hugged, loved and ministered to people that must feel completely disguarded and abandoned. I was in awe of her compassion today and I am so proud to call her my sister. Before today, I had never seen what someone staved of human contact looked like and it is something I will never forget! Although it was heart breaking at times, it was also truly amazing to see every person beam with joy when they were hugged or held. Every person was SO eager to be recognized, acknowledged and touched. Everyone was so beautiful and I could easily see that each one had wounds far more damaging and painful then their lost fingers, feet, legs, limbs, toes and eyes. 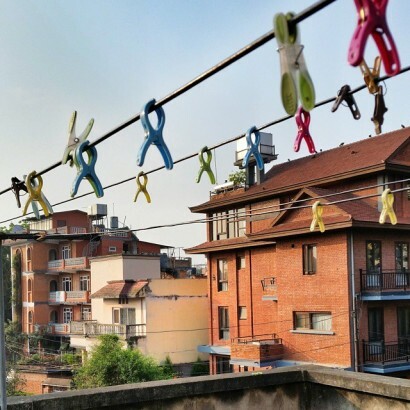 Our entire @watsoflove team and I have a lot to process and discern from our Nepal trip, however, one thing for certain is that we will continue to help the 160+ people and care takers in some capacity. If you are moved and interested in helping us with this specific project, please email me directly kevin@wattsoflove.org and we will contact you as soon as we have a specific plan to help more. Together we truly can make a difference! 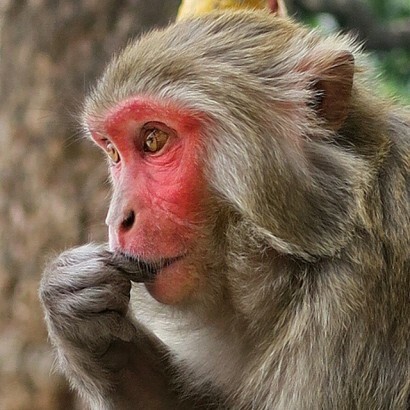 Never mind the earthquake, LOOKOUT for those Nepali Monkeys! When we left for Nepal 10 days ago some people were still predicting a even larger earthquake might hit while we were there. Aftershocks were happening almost daily and many folks were concerned about our safety and for all the best reasons. Personally, I felt we would all be okay and everyone in our @wattsoflove team would return safely. Although we did feel after shocks often, I can honestly say that I think the greatest amount of danger I felt was around a pack of some seriously aggressive and angery monkeys that came at us when in Katmandu! Note to self…. next time in Katmandu and around wild monkeys, do NOT buy a bag of bananas and various foods from a street vendor before you enter a monkey colony area!!! “I am Susan Starr from Moravian Falls, NC. I am married to my hero and a mom of four. I am so excited to get to travel to this gorgeous part of the world. Children are my favorite! I loved being an elementary teacher. I have brought a duffle stuffed full of medical supplies for an orphanage, and another bag crammed with toys & crafts. Come join me as I deliver solar lights to those without electricity and play with the beautiful children.”. . I have only been around Susan for a few days and can honestly say she is one of the most positive people I have ever met in my life. She is constantly encouraging others and is always just a joy filled person. — with Susan Starr. She observed me and my movements as much as I observed and watched her. She knew I wanted to take her photo but, I waited until the moment was appropriate. I wanted to honor her beauty by collaborating on a authentic photo, not by just taking it without her permission. After a while spent trying to communicate with hand gestures and facial expressions, she casually fell into this position. I was fortunate enough to capture this photo and to have been in her presence. Our entire WOL team and I are so happy to think that tonight as the sun sets, she will have a new solar @wattsoflove light to help her navigate the darkness. Before we left Katmandu we saw several feeding stations. The Napalise people all displayed such gratitude and thanks for the food they were receiving. Often we heard statements that they couldn’t beliveve we came all the way from the United States to help. 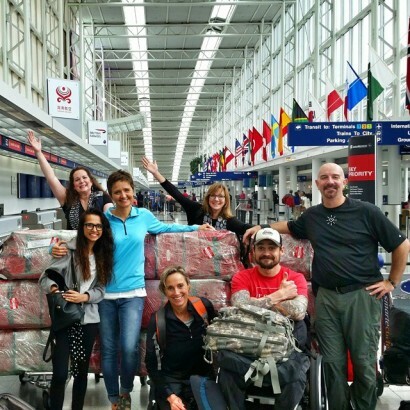 “Hi, My name is Candice Mishkin and this is my first missions trip with Watts of Love. 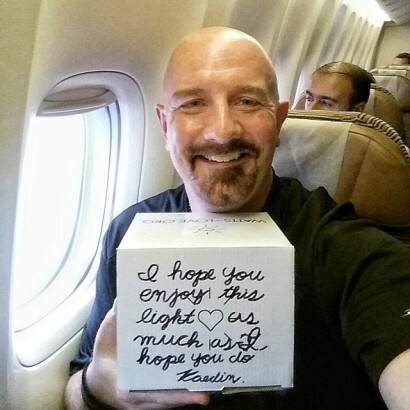 I am so excited for the privilege and opportunity to bring light to help save those lost in darkness. I have learned that solar lights are a tangible way to make His love known to the poor and devestated of the earth.”. . This is the first time I have met Candice and she has been such a huge help to our WOL team. No task is to hard for her and she is always the first to jump up to help and serve others or do whatever she can to assist. 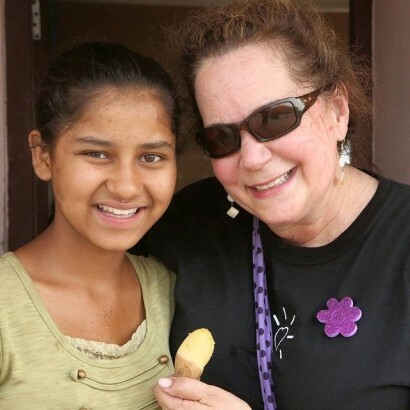 She has a internal beauty and strength that has added so much to our time in Nepal! impresses everyone once who happen to keep in touch with them. 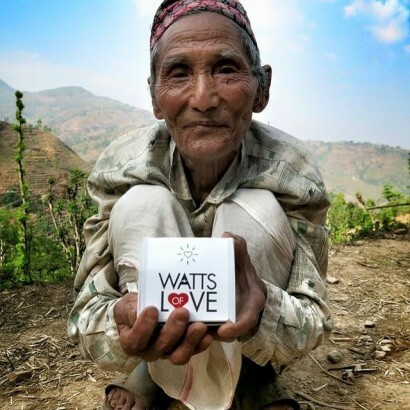 Watts of Love has proved itself as the friend of earthquake victims of Nepal. Thank you Ananda and Ranjan Dhungana for coming into our lives, sharing your hearts and helping us to better server your village. 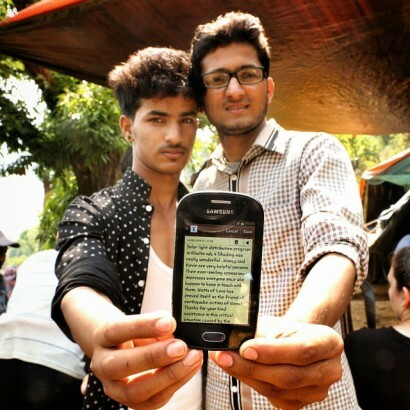 You are both going to have a huge impact on the world and we can’t wait to see both of you again in Nepal. Until we meet again please know that your kind words and help meant more than you will ever know to both Nancy and I and the entire Watts of Love team! “Hi, my name is Joseph Kosma. I am super excited to be part of the Watts of Love team because God has to move for it work. Being in a wheelchair and following a tug on my heart in obedience, I am stepping out on water believing that no obstacle will hinder me and miricales are waiting.” I have to admit that I find photographing @joseohkosma a complete honor and am constantly blown away by this enthusiasm and love for life. 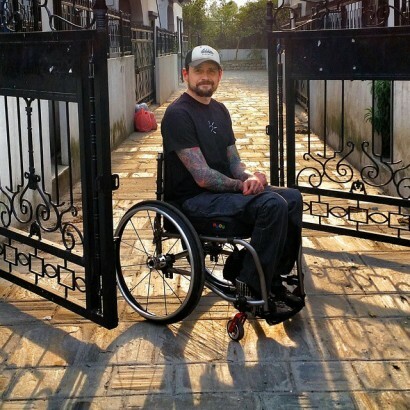 Joseph has been an huge example for our entire @wattsoflove team and lives his life without limitations or restrictiona. Plus, he has a great sense of humor and loves photography! 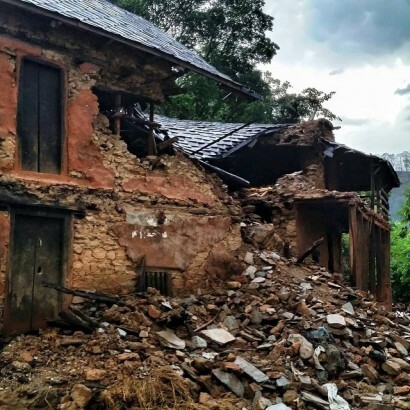 We were informed that over 90% of the homes in Khalte VDC in Dhading district of Nepal were destroyed. Honestly, a single image can not capture the scale and magnitude of the deveststion. The destroyed homes are everywhere! Almost all of the homes are vacant of people, personal belongings and life. I can’t imagine how long the rebuilding process will take these families. All of these homes were build brick by brick completely by hand and over the course of years. No power tools, no heavy machinery, very limited resources for building materials and a lot of hard manual, physical labor. Despite the deveststion and amount of work to be done to rebuild, we have seen a resolve in the Nepali people that is truly impressive! Please consider leaving a word of encouragement to these families as many of the youth are on social media and we definitely see and read your comments. Yes, we are all connected and your words do matter! We had another really sucessful day distributing solar lights. 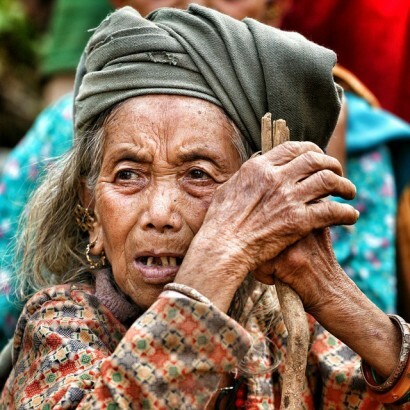 The WOL team and village elders served so many people today! We have all fallen in love with Nepal. I have learned alot about the Nepalie culture since our WOL team arrived a few days ago in Katmandu. One of the greatest things I have observed is how important the family structure is and how well the families care for their parents as they age. It saddens me that this is not the norm within the United States. The elderly within the village here seem to have a real postion of respect and honor. Regrettably, both of my grandma’s had passed by the time I had been born so, I never knew what it felt like to be cared for and loved on by a grandma. Thanfully, I see how great my mom is with all of her 9 grandchildren and feel so happy that all of my neices, nephews and my own son have had eldless hugs, love and affection from their “Mimmie.” Love you mom and dad! Thank you for all that you have done for Nancy and I when we travel and when we are home. We couldn’t do what we do without your help, love and support! Some souls you experience for only a few moments, however, despite the breif amount of time spent you spent with them, you know you will never forget their presences and how they affected you. When this man came into our @wattsoflove distribution area today, he was completely hunched over like no person I had ever seen in my life. He had walked a VERY long distance and the mountainous terrain here in this village is incredibly steep, rocky and dangerous. Plus, the sun and heat alone could bring down even the most rugged of men. 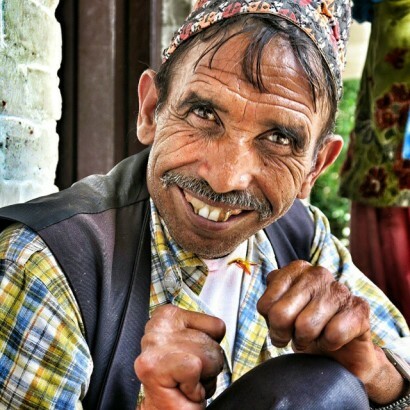 Despite his damaged and broken back from years of hard physical labor, carrying, water, rock, staw, rice and working in the fields to provide for his family, this man had a joy and precences that changed all that came into contact with him. I couldn’t take my eyes off him and I now understand where the phrase back breaking work comes from. As this man was being educated on how to use and care for his new solar headlamp, he kept smiling, laughing and shaking his head with joy. It was so great!. However, the moment I went to take his photo, he dropped into a squating position so he could straighten his back, lift his chin and presses his new light out with pride! The transformation was immediate and very intentional on his part. Despite my desire to photograph him as I saw him, he knew who HE WAS and he wanted to be photographed as he has always seen himself…. A man filled with dignity, pride and honor. Light=Pride. Today was an amazing day and a day that I and the entire WOL team will remember for the rest of our lives! Although the last few days have had some MAJOR struggles, today made all of our difficulties worth it. Early this morning we met with the 5 key village elders and planned a mass distribution. With the help of the elders we were able to distribute and educate 95 light recipients. We asked the elders to identify the most vulnerable including the elderly, handicapped, single mothers and teachers. The elders really embraced the task and took it very, very seriously! And they totally rocked it! We begin another mass distribution at 7:00 am tomorrow and although I should be asleep right now, I am so overjoyed with excitement and gratitude that I can not sleep. It has been a complete honor to serve the people of Nepal. Some of our WOL team did better than others with the three hour mountainous hike to reach the village. I will leave it up to you to decide who “agreed” to allow the motorcycle to take them up the remaining distance. I will however provide you with a hint, video and camera gear is REALLY heavy!!! Lights=workout! Perhaps the most difficult thing I encountered today was seeing hundreds and hundreds of men, women, children, infants and elderly living in make-shift plastic tarp structures, cardboard boxes and donated tents. With only one or two items that they lucky enough to grab as they rushed from their homes as their world began to shake and crumble, people are now forced to live in “tent city,” the side of the road or on the sidewalk in front of their now destroyed homes. As I photographed this young girl from behind the barbwire fence entrance in “tent city,” I couldn’t help and think about what my neighbood would look like and how would feel if I suddenly lost all of my belongings and was living under a blue plastic tarp with my son. No running water, no toliet, dust, dirt all around, nothing to protect us from the rainy season, and no light as the sun sets every evening. Although I have no idea how long a complete recovery will take, I get a sense that many of the extremely poor families will be living in these same conditions for a very, very longtime. It’s always very difficult to capture and explain seeing devastation and distruction of peoples homes, personal belongings and lives. The destruction pattern I saw in Katmandu today seemed completely random and hard to process. There would be areas that seemed as though none of the houses had any destruction, however, they were all blocked off by the police because of internal structural damage. Then you would see rows and rows of houses that were completely fine and then you would see one or two completely destroyed homes amongst those the weren’t affected at all. 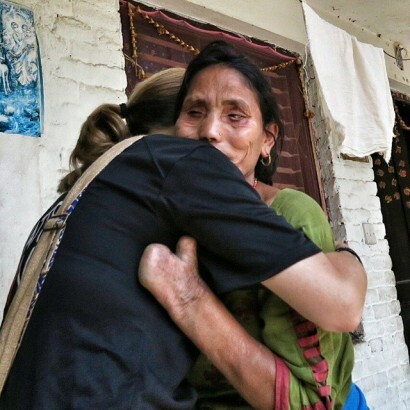 Overall Katmandu seems to be moving towards recovery. Tomorrow we are heading to a remote village where all of the homes were destroyed. As the sun rises today I’m able to see Nepal for the first time. 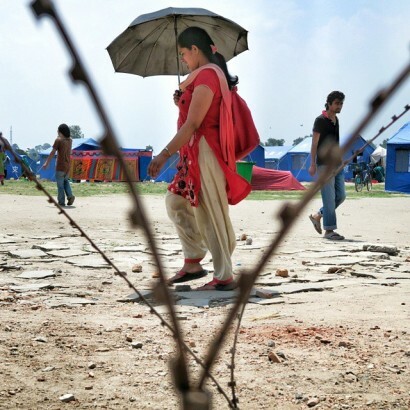 Like a prize fighter that was knocked to the canvas after several vicious blows, Nepal seems at first limited glace to be reawakening and emerging from the fog of their earthquakes. Several of the buildings around me have cracks on the upper floors and damage all around. While driving in last night we saw tons and tons of tents filled with humanitarian relief goods that have yet to be disributred. Our @wattsoflove team also took a few blows last night as well. Several of the bags that we brought were detained by customs. We are provided no specific reason for the delay only that we would need to begin acquiring various kinds of paperwork. Regardless of what happened last night at our WOL team will channel our inner Rocky Balboa, tell Mickey cut open our swollen and shut eyes so we too can begin our fight to help those in need. Was up till 1:30am packing last night. Alarm went off 7:30, kissed my son goodbye, 1 taxi ride, 2 flights, 19 hours in the air, 1 layover, 3 movies (Selma, American Sniper,The Hobbit) and I have arrive in Katmandu. Oh, and I almost forgot the best detail on the second leg of our flight… I had three extremely overserved gentleman singing at the top of their lungs for the entire 5 hour flight. The good news is they sounded like three cats trapped in wet knapsack getting flogged by a broom stick! Calgone take me away. The journey has now officially begun! 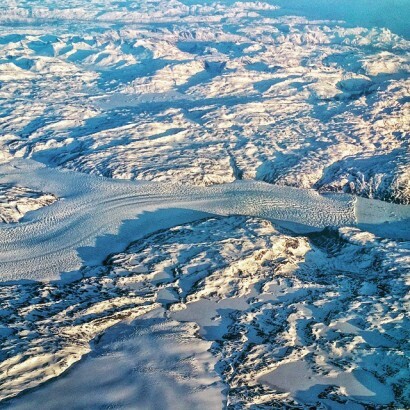 Somewhere over Greenland. Doesn’t look very green to me! Although all of our @wattsoflove solar lights are very important, this one light is very important to me personally. Thank you to everyone that helped make this trip possible. Your financial donations, emotional supoort, your prayers, and your encouragement has meant so much to me. Hope to post and take all of you with us as we travel to Nepal. Now, sit back relax and enjoy the ride. Tomorrow we leave for Nepal. Totaly not sure what to expect but as Hunter Thompson once said “buy the ticket and take the ride.” Amen! Thanks to everyone that has supported us with your, donations, thoughts and prayers. Hope to posting here and at the @wattsoflove site as often as I can. I want to say in advance how MUCH your comments and words me to me while I am travling posting. I have a upcoming production in New Orleans and I NEED someone with local knowledge of New Orleans and a get stuff done” kind of attitude! If this is you or someone you know, please drop me a direct message here on Instagram or email me at kevinkuster247@gmail.com! Wishing all the mothers I have had the great fortune of meeting on various trips with @wattsoflove a very special Mothers Day! I have learned that despite living in different places, climates, and cultures, moms are the backbone of the family unit. Happy Mothers Day to all. 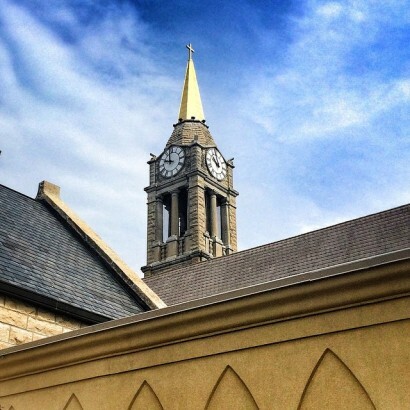 Had the great honor of speaking at each of the masses at St. Dennis Church today. Thank you Fr. Jim Curtin and everyone at St. Dennis for all of your financial support and generosity with our Nepal fundraiser! Your assistance has always been amazing. 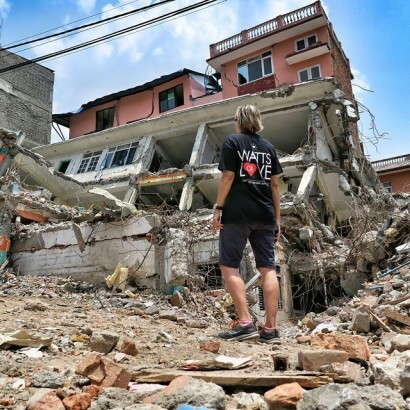 To donate to our Nepal @wattsoflove relief effort please click the link in my bio.